"My name is Emma Sinclair. I’m a serial entrepreneur and co-founder of alumni software company EnterpriseAlumni. I spend a great deal of my time fielding questions from people about their careers and business: how to get ahead, how to secure a promotion, how to move industries. My best piece of advice is that it doesn’t always need to be all about the career ladder you’re currently on. In fact, on the contrary, my advice is it may be far more valuable to get a side gig. My various side gigs have done many things for me. They’ve given me an increasingly powerful voice at many tables, from media to business and government. They’ve exposed me to people, places and experiences I might otherwise never have met. They have given me rich life experiences that make me a better employer, friend, corporate citizen and colleague. And hopefully they’ve encouraged other people I know to get a side gig too. It was in pursuing one of these side gigs that I was able to visit Zambia with Unicef in September 2014 to front a programme providing financial, enterprise and employability skills to young people in communities where opportunities are limited. This visit made me a better, more informed person on youth unemployment and, more broadly, how to assist young people seeking a better future through access to opportunity. More than one billion adolescents stand at the crossroads between childhood and adulthood, 200 million of whom are in Africa, where they are almost three times more likely to be unemployed than adults. And I saw that first hand. Following this experience, I wanted to find a way to bring my tribe of entrepreneurs, innovators and business people together to invest in and support a particularly at risk next generation of thinkers and innovators. 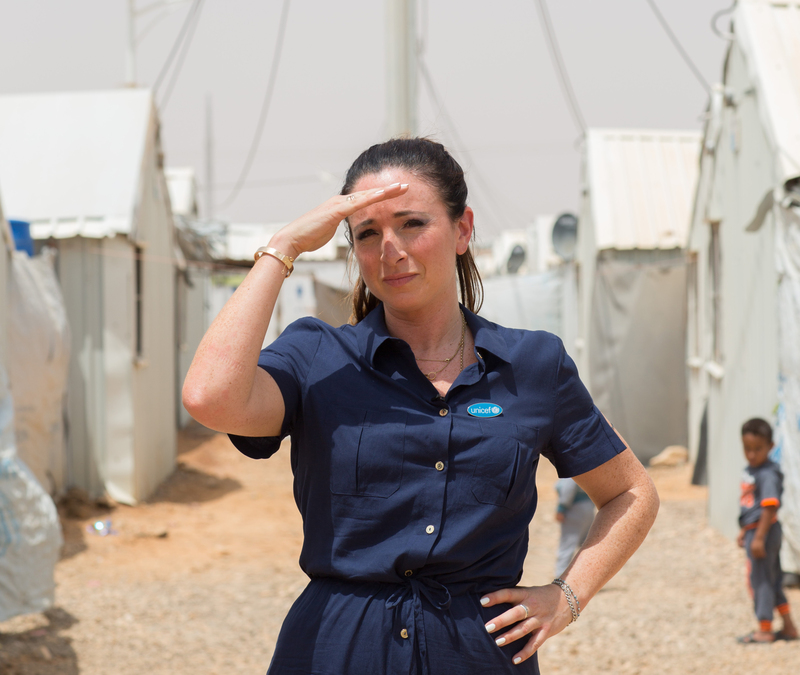 Two weeks ago I launched Unicef Uk’s first crowd fund to roll out Innovation Labs in Azraq Refugee Camp, Jordan. 50 million children have been uprooted from their homes and face unimaginable hardships. Many have lost their family, their friends, their chance to go to school – a privilege most of us enjoyed. The roll out of these Innovation Labs, which this crowd fund is seeking to fund, will give young people support, seed funding and training in highly-sought-after digital skills, including coding and engineering. It is in this way that I hope my own side gig will not only enrich my experiences but can help unlock the potential of younger generations of entrepreneurs."